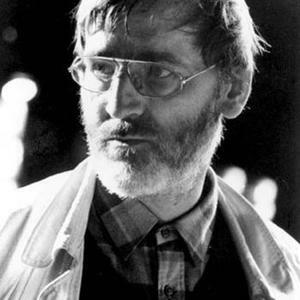 Lachenmann was born in Stuttgart. He studied piano with J?rgen Uhde and composition and theory with Johann Nepomuk David at the Stuttgarter Musikhochschule from 1955 to 1958 and was the first private student of Luigi Nono in Venice from 1958 to 1960. From Nono, he acquired the belief that music should aim to serve a message of social relevance. He also worked briefly at the electronic music studio at the University of Ghent in 1965, but thereafter focused almost exclusively on purely instrumental music. His music has often been called musique concr?te instrumentale, a term that the composer originated, which implies music that imitates electronic sounds through instrumental means. According to the composer, this is music "in which the sound events are chosen and organized so that the manner in which they are generated is at least as important as the resultant acoustic qualities themselves. Consequently those qualities, such as timbre, volume, etc., do not produce sounds for their own sake, but describe or denote the concrete situation: listening, you hear the conditions under which a sound- or noise-action is carried out, you hear what materials and energies are involved and what resistance is encountered". His music is therefore primarily derived from the most basic of sounds, which through processes of amplification serve as the bases for extended works. His scores place enormous demands on performers, due to the plethora of techniques that he has invented for wind, brass and string instruments. Though his music has often been described in disparaging terms, including musica negativa and Verweigerungsmusik (music of denial), the composer emphasizes the novel aspects of his sound textures and argues that everything has a negative side. His works aim to invite listeners into uncharted sonic realms free of the habits of typical concert music and in the process, he hopes that listeners will find some feeling of liberation. In this sense, his music could certainly be deemed existential.